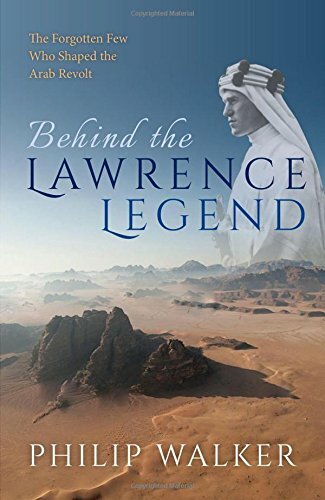 The story of T. E. Lawrence and the Arab Revolt against the Ottoman Empire during World War I has been the subject of numerous books, documentaries, and even an Academy Award winning movie. Moreover, his 27 Articles and Seven Pillars of Wisdom are considered classic texts on Middle Eastern guerilla warfare that made their way onto many recommended reading lists for American military officers during the campaigns in Afghanistan and Iraq. However, like many narratives that seem larger than life and become more mythology than history, “Lawrence of Arabia” is not the complete picture of the successful effort by the British and French to ferment revolution and spark an armed uprising among the various Arab tribes against the Ottomans. In this book, Philip Walker dives deeper into this campaign, using previously untapped primary sources and archival records to bring to life overlooked characters that provided the vital yet unappreciated logistical and diplomatic support that powered the locomotive of Lawrence’s glory train. Officers like Colonel Cyril Edward Wilson, Captain William Boyle of the Royal Navy, Captain Norman Bray, and Lieutenant Lionel Gray are finally given their due by Philip Walker as he interweaves their efforts and contributions into the oft-told campaign to drive the Ottomans out of the Arabian Desert and create an Arab Army to support the 1918 drive by British forces under General Edmund Allenby to retake the Levant, culminating in the capture of Jerusalem and Damascus by British forces. The efforts by these British officers and their erstwhile Arab Bedouin allies were immensely complicated by intrigue among the various tribal sheiks and sherifs, the disinterest by the Allied high command in properly supporting the campaign, and the environment itself—vast stretches of impassable terrain punctuated by oases, strategic tracts of railroads, and coastal ports that provided the only means of moving vast amounts of men and material. The tales of endurance and improvisation by the major characters to keep the campaign going in the face of nearly overwhelming odds is truly astounding. One intriguing factor throughout the story is the strategic importance of camels to the campaign and the untold tale of British Veterinary Corps officers fighting a war of resources with their Ottoman counterparts to secure a steady supply of camels from the Bedouin breeders and herders. In this era of primitive mechanization and scarce railroads, thousands of camels provided strategic mobility, requiring a constant competition for camel supremacy. Unfortunately, overshadowing all the efforts of these brave and resourceful officers was the duplicitous Sykes-Picot Treaty, the post-war plan by their governments to break up the pieces of the Ottoman Empire among the victorious Allies and split these spoils to further their own colonial ambitions. All of the British officers had some awareness of these post-war plans, which did not include giving the Arabs the full independence they were told to promise them, and the diaries and letters of many participants showed their moral conflict in having to knowingly lie to their allies. Several of them, including Lawrence and Colonel Wilson, the key officer in the entire British mission to support the uprising, considered resigning at various times over the issue of the treaty. According to the author Lawrence went even further, essentially committing treason by leaking some of the details of the treaty to his Arab comrades and actively conspiring to advance the Arab cause in opposition to his government’s instructions. Despite his misgivings, and nearing a mental breakdown by the end of the campaign due to his conflicted morals and post-traumatic stress, Lawrence continued his mission of persuading the Bedouins to support the final British drives to capture the Levant and Syria from a collapsing Ottoman army, even though he knew the French and British would never grant the Arabs full independence. The book continues a welcome afterword that describes the final days of each of the major players, many of whom suffered great physical ailments during their time in the desert, showing the level of sacrifice these men made as they lived out their lives in anonymity, overshadowed by the largely manufactured legend of T. E. Lawrence. The author does a magnificent job of proving that history is never complete, and even tales considered long trod can have surprisingly new twists. Legends often require more backstory to full understand them, and the backstory of Lawrence of Arabia is now more complete thanks to this book.